Out of all the good habits I've ever had, removing makeup before sleeping should be awarded as the best one. 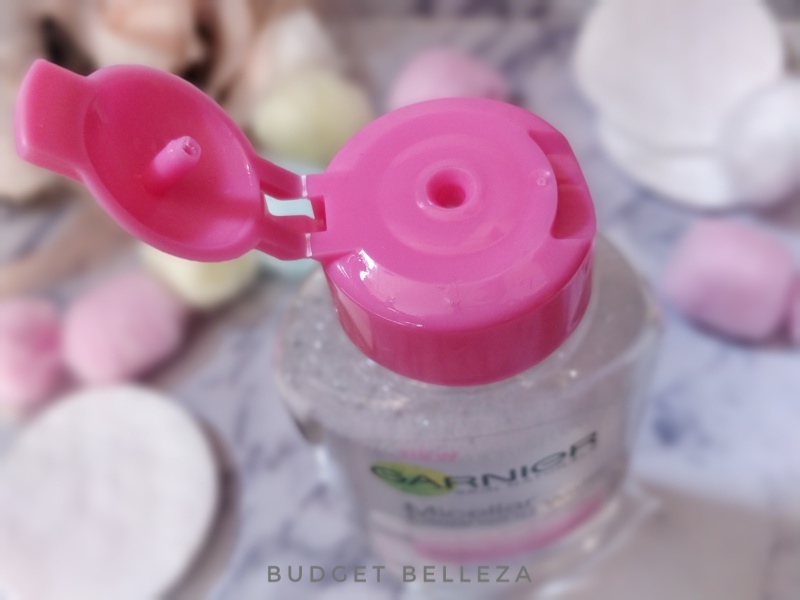 Back in the college, when makeup just meant "fair and lovely" tube (gosh that pink and white tube is so vivid in my memories), I always returned home to wash off my face first most probably with the bathing soap. Times passed.. makeup no more meant the humble pink-white tube, soaps were cutely replaced by cleansers and cleansing milks and now Garnier Micellar Cleansing Water!!! Makeup overnight blocks pores thus causing acne/pimple. Clogged pores become larger as the skin looses it's elasticity since it is dry,thus cannot produce collagen and repair itself. Not being able to repair skin means aging of the skin earlier. The skin becomes dull and wrinkly. Overnight makeup may result into infection and rash. Bottom line...Never leave makeup on !! 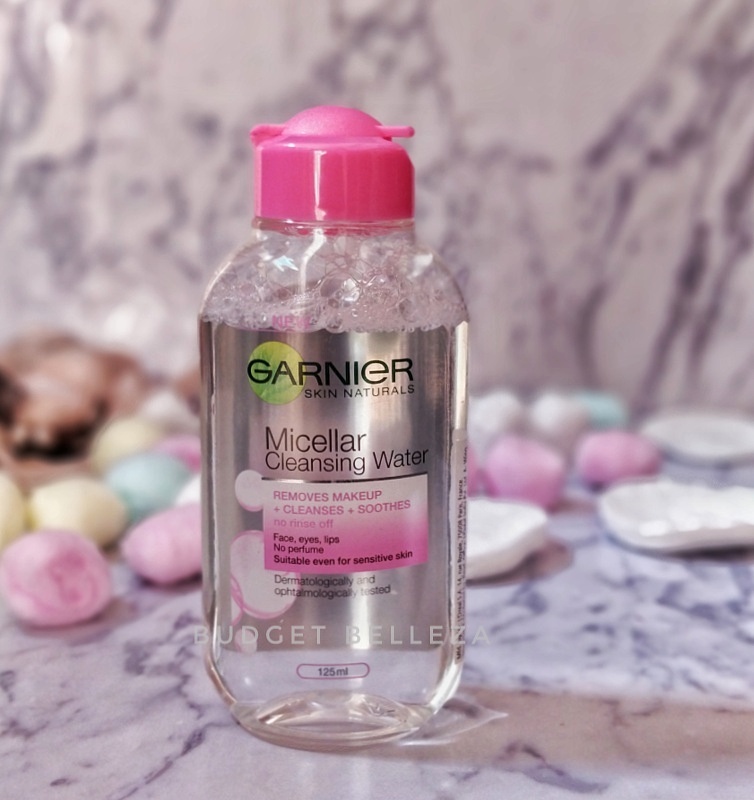 Garnier Micellar Water comes in a see-through plastic bottle with a bright pink flip-open cap. The packaging is clear,practical and girly! 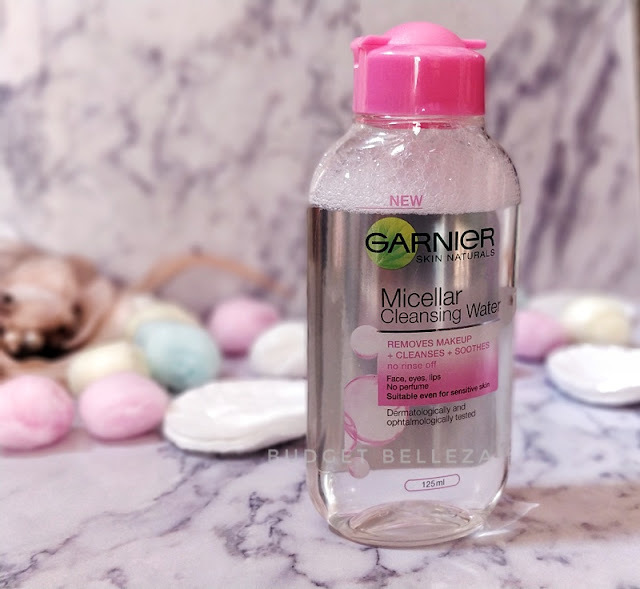 Garnier Miscellar Water is said to be a dupe of the much raved Bioderma Micelle Solution which is a French pharmacy product and much pricier than it's Garnier counterpart. Garnier Miscellar Water works on the principle of micelles which are tiny oil particles suspended in soft water. Micelles are attracted to dirt, grime and oil and they draw out impurities without making your skin dry. Garnier Micellar Water claims to clean all your makeup and that "no rinse is required" after that. 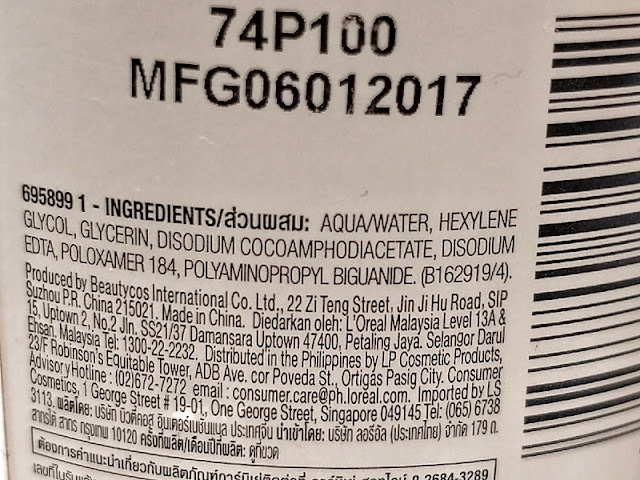 The brand also promises 200 uses from the bottle. 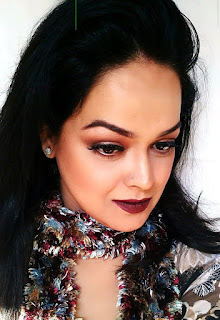 To test it, I used it on a full face of makeup with foundation,eyemakeup and lipstick. It is easy to control the quantity required on your cotton pad. It is colourless and fragrance-free. 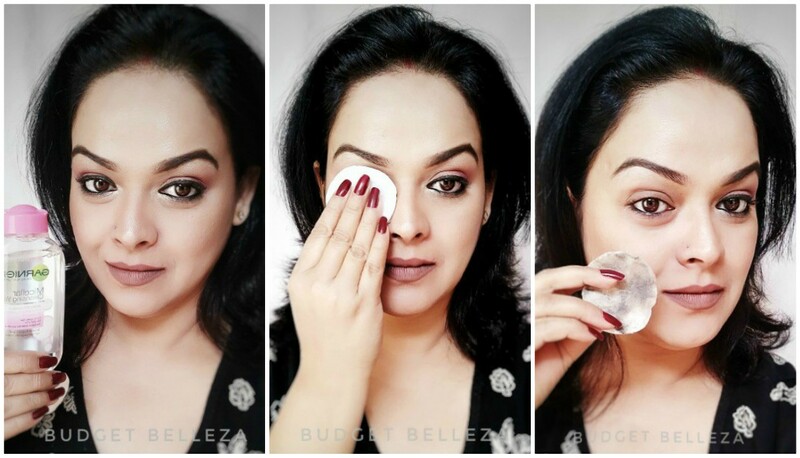 You'll need to take some Micellar water on a cotton pad and apply on the makeup area and keep the pad on for sometime for the makeup to break. It took me 2 cotton pads to remove my makeup but I did take a third one for the stubborn waterproof mascara and total satisfaction. 1. I don't wear makeup on a regular basis. 2. I've been blessed with a fairly good skin (thanks dad!). So the lazy me never tried to better it up. 3. I'm a mom of two.. Brushing my teeth and Washing my face off before bedtime itself is a luxury for me. 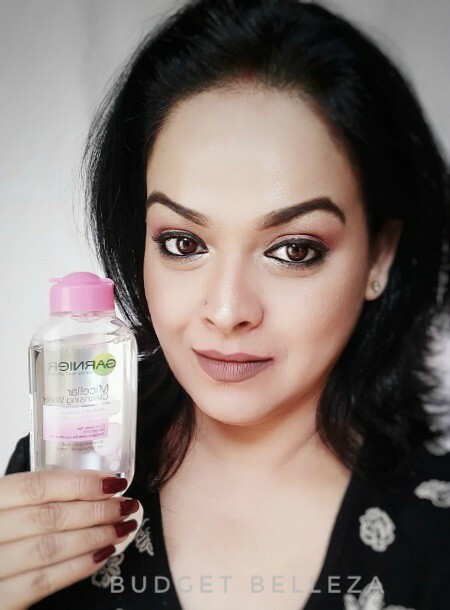 Still being a fan of double cleansing, I usually wipe my makeup off with coconut oil and then wash my face with cleanser and water. But since the brand claimed "no rinse", I tried it and honestly \I didn't feel the need to double cleanse. Now that I have very dry skin,I can only assume it fares well and does not dry the normal/combination/oily skin. In my case following it up with a facial oil or moisturizer is extremely important. 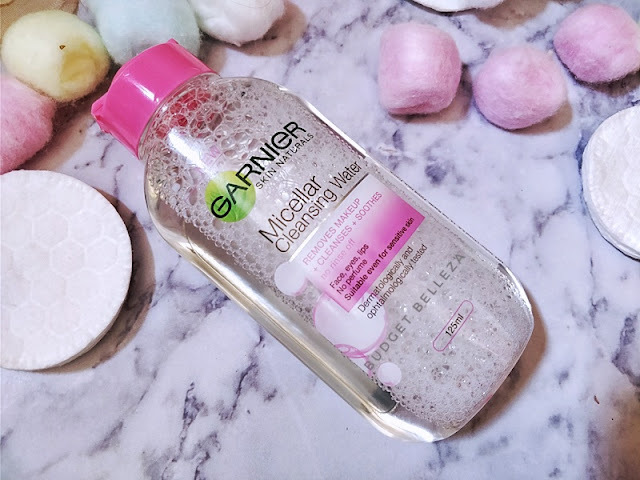 Garnier Miscellar Water has definitely made life easier and you are left with NO EXCUSE to skip the makeup removing schedule,whether at home or travelling.